Lafayette students are usually set for food. 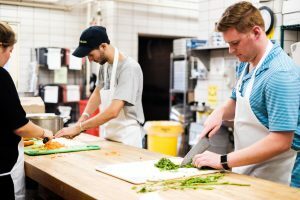 The myriad dining halls on campus are ever ready to provide the hungry with healthy and filling options to sate their appetites. 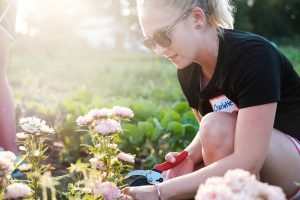 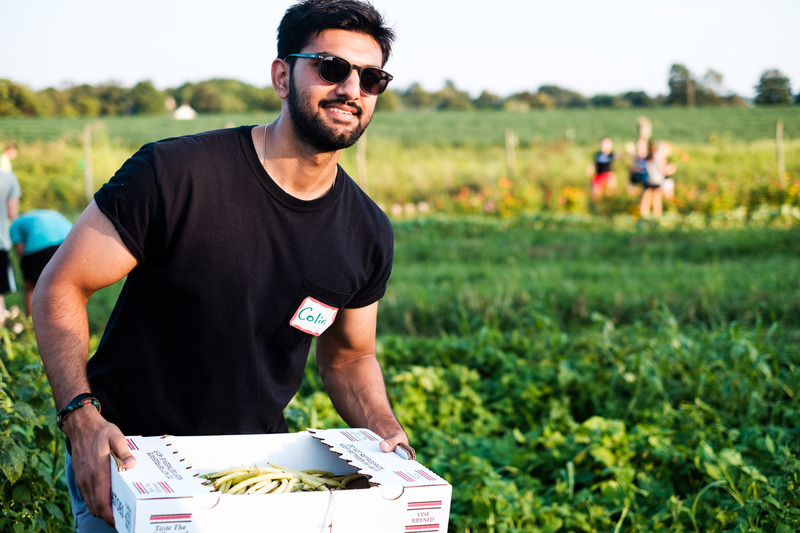 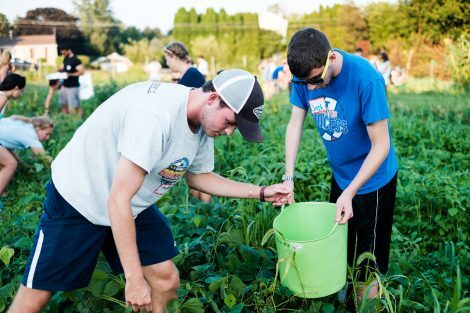 The week before Move-In Day, however, select students were able to experience the true meaning of farm-to-fork by picking their own meal from LaFarm, the college’s backyard sustainable garden. 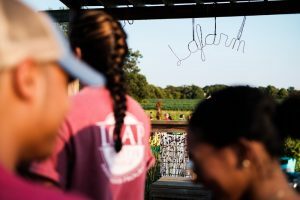 The lucky bunch of students in question were the orientation leaders, who train long and hard to guide incoming first-years along their Lafayette journey. The leaders gained considerable insight into how dining hall food comes to eaters at this event at LaFarm. 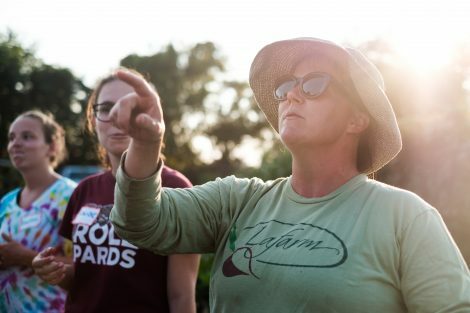 Their responsibilities varied while they helped out Sarah Edmonds, the farm manager. 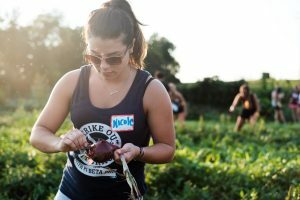 She showed the students what to pick and how to pick it. Each piece of produce demanded care to ensure it was unblemished and acceptable for consumption. The processing line for onions was tearfully efficient, while the ripened tomatoes were plucked with deftness, as baskets laden with vegetables were sent off to be cleaned before being shipped off to Farinon, Gilbert’s, and the other dining halls on campus. To complete the experience, the day following their harvest, orientation leaders and dining hall chefs gathered in Marquis Hall to serve what they picked. 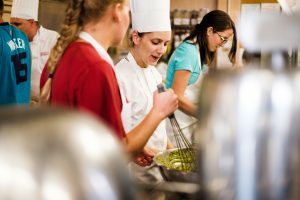 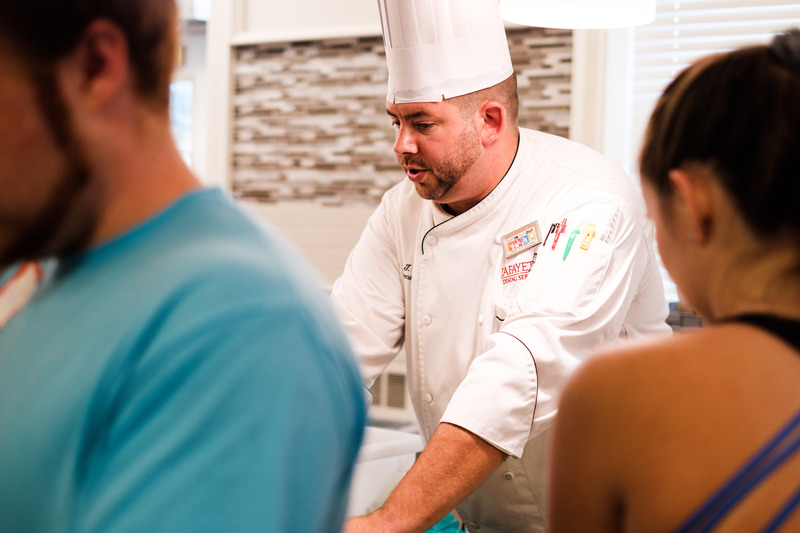 The chefs taught the students the basics of prepping and cooking their vegetables and creating multiple dishes for dinner.